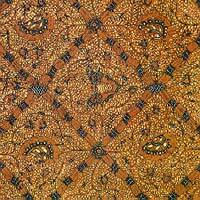 <?xml:namespace prefix = v ns = "urn:schemas-microsoft-com:vml" /><?xml:namespace prefix = w ns = "urn:schemas-microsoft-com:office:word" />Although there is mention of 'fabrics highly decorated' in Dutch transcripts from the 17th century, most scholars believe that the intricate Javanese batik designs would only have been possible after the importation of finely woven imported cloth, which was first imported to Indonesia from India around the 1800s and afterwards from Europe beginning in 1815. 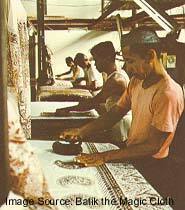 Textile patterns can be seen on stone statues that are carved on the walls of ancient Javanese temples such as Prambanan (AD 800), however there is no conclusive evidence that the cloth is batik. 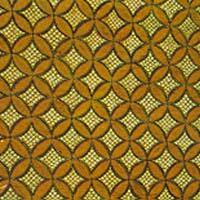 It could possibly be a pattern that was produced with weaving techniques and not dying. 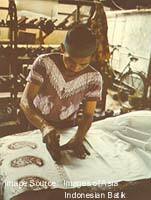 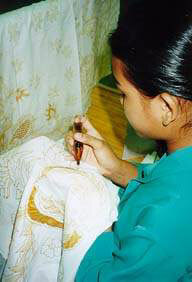 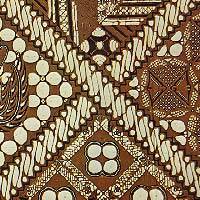 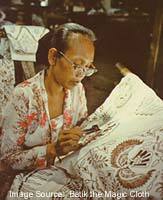 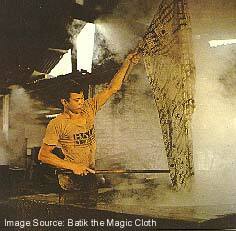 What is clear is that in the 19th century batik became highly developed and was well ingrained in Javanese cultural life.